My sister told me this week that she plans to take her three oldest (of seven) children to New York City this year. She asked me for recommendations of things to see and do with the kiddos. Despite spending quite a bit of time in Manhattan during my husband's advertising career days, there are things that I never got around to doing in Manhattan. If I were to return today, here are five things that I would experience post haste. The High Line is a 1.45 mile long New York City linear park built in Manhattan on an elevated section of no longer used train track called the West Side Line. On my past trips to New York City, the most recent of which was in April of 2010, The High Line was a mere babe with only a small portion of it open. It wasn't on my radar. 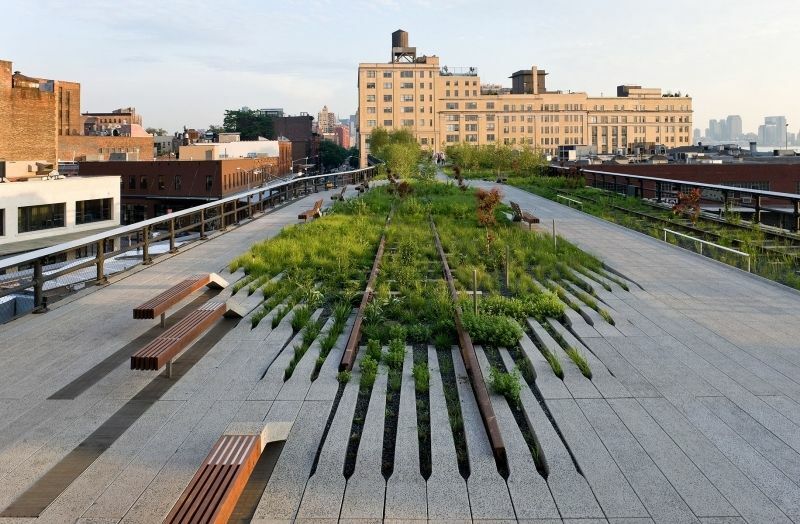 With the growing expansion of The High Line over the past several years, this is certainly on my must-experience list. On past trips to New York City, without fail, the weather did not cooperate with plans to take the Staten Island Ferry past the Statue of Liberty. This is still on my to-do list. I imagine that late spring or early fall is the best time to take advantage of this photo-opportunity with Lady Liberty. Avoid sharknado season. 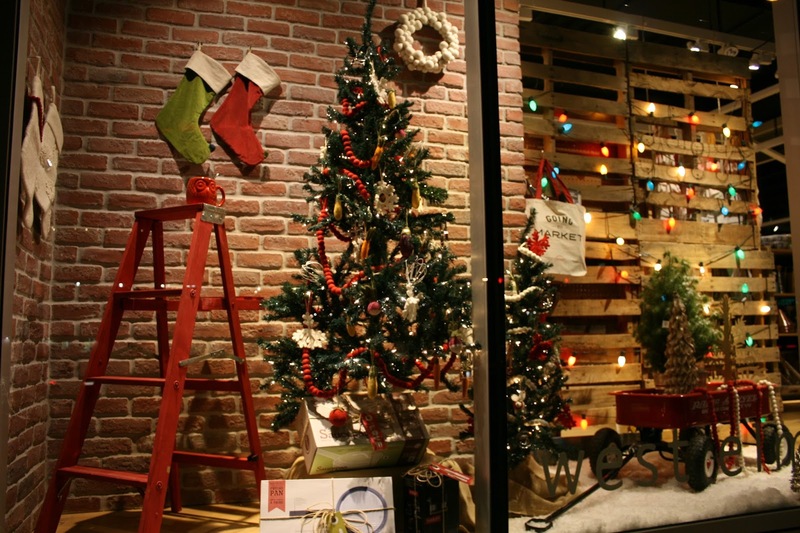 Typically on view from Thanksgiving through New Year's Day, I'd love to take a walking tour of these magical retail portals know as holiday windows. I worked in retail visuals for J.Crew, west elm and Brooks Brothers over the years. I loved creating the holiday windows and displays more than any other time of year. And, yes, I totally watched Window Warriors on GSN, in which window dressers competed to create the best window displays. 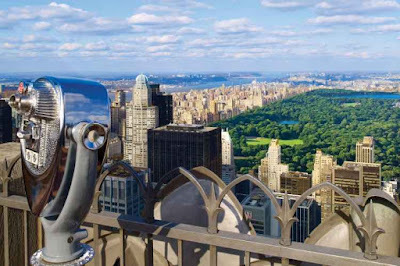 Despite walking the plaza many times, I never made it to the top of the Rockefeller Center. Clearly, I lacked some ambition and/or was trying too hard to not seem like a tourist. Annually debuting the first Monday in May with the highly photographed Met Gala and running through early September, the theme of this fashion meets art exhibit changes annually. The 2016 theme was Manus x Machina: Fashion in an Age of Technology. The 2017 theme, just announced, is Comme de Garcons. As a mere mortal, I naturally won't attend the Met Gala, but I will view photos of the fabulous affair online. I'd love to see the exhibition while it is open to the public. Upon review, I'll likely have to make multiple trips back to Manhattan in multiple seasons to knock out this list. That's the great and mercurial thing about a vibrant city (and life in general): nothing stays the same for long. Enjoy moments when you can catch them.